The Sanger Brothers garage at 711 Elm Street was built in 1925 as one of the city's first "high-rise" parking garages. The 5-story brick building sits across the street from where the Sanger Brothers department store was - now El Centro College. 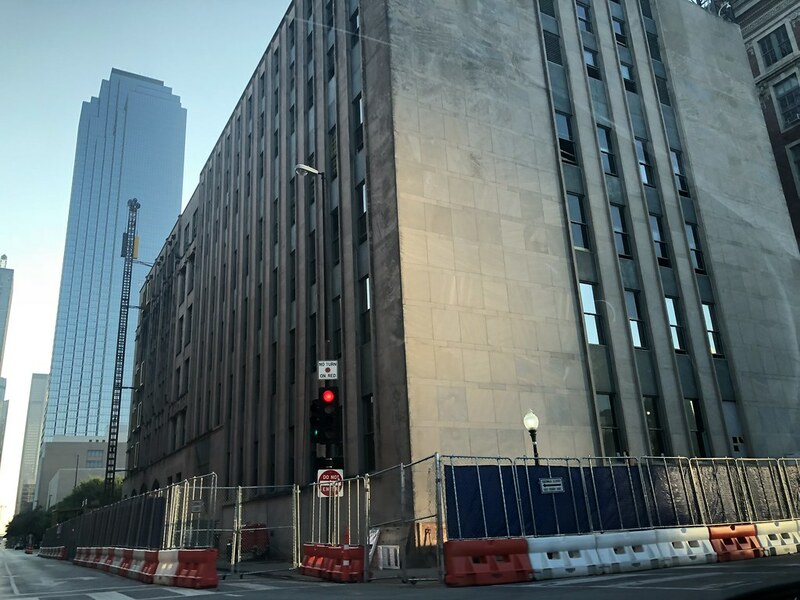 Merriman Anderson recently made a preliminary presentation to the Dallas Landmark Commission which asked them to go back to the drawing board and rework the hotel proposal. The initial plan would have added six levels of hotel rooms on top of the old parking structure. But commission members and staff weren't on board with that plan. Merriman Anderson partner Milton Anderson said his firm plans to keep working on an acceptable redevelopment plan for the property. "We are working hard with the Landmark Commission and they have been responsive and understanding." The Sanger Brothers garage was originally designed by Dallas architect J.A. Pitzinger, who also did the original Dr Pepper headquarters on Second Avenue near Fair Park. With decorative brick and stonework and big metal windows, it's easy to mistake for one of the West End's other office and warehouse buildings. When Sanger Brothers had the building, it housed "a complete motor department store where every need of the car may be supplied." Photo's from back in the day show the roof of the garage lined with big Packards and Fords. 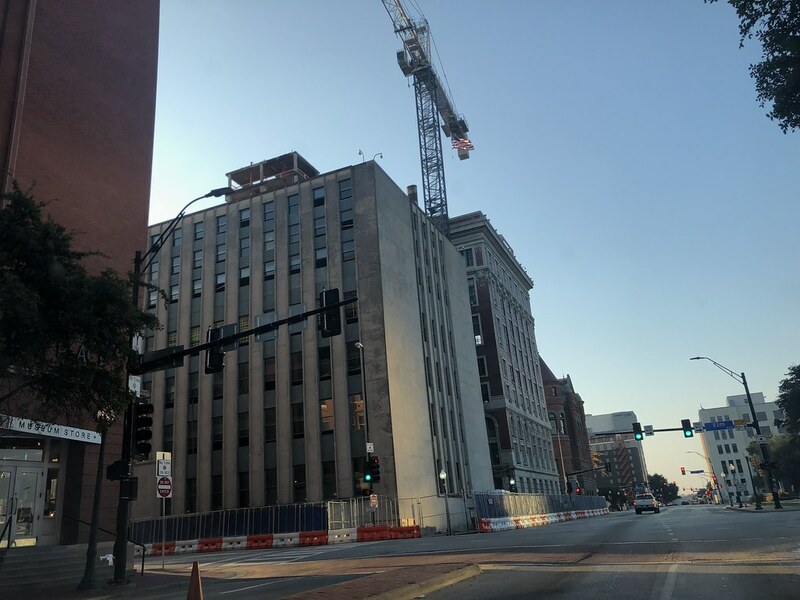 Merriman Anderson's plans for the property would convert the top two floors of the original garage into hotel rooms and have the lobby on the ground floor where retail is now located. 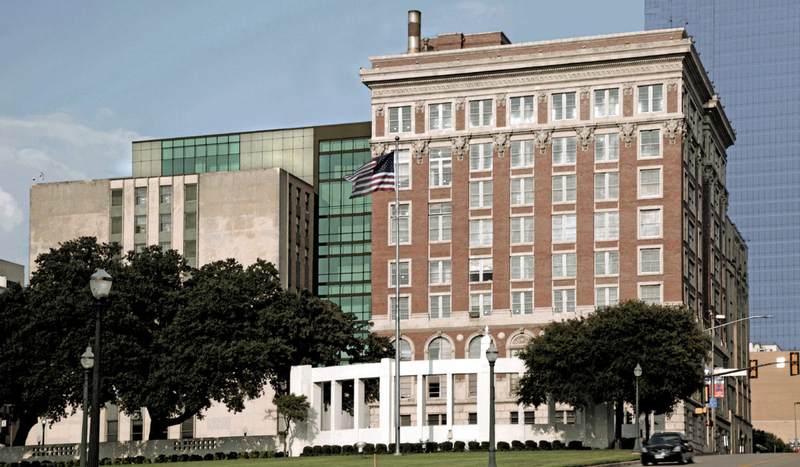 Merriman Anderson is one of Dallas' most experienced renovation architects, having handled the redesign of many downtown historic buildings including the Statler Hotel, Lone Star Gas buildings and Tower Petroleum Building. Nice shot, and you captured that crane in the distance...what is that working on? The only projects to the south are the Holocaust Museum and the Records Building, I don't know what would need a crane down that way though. Maybe the Museum? Last edited by maconahey on 23 Aug 2018 12:06, edited 1 time in total. Yes its the County Courts and Records Building project I believe. 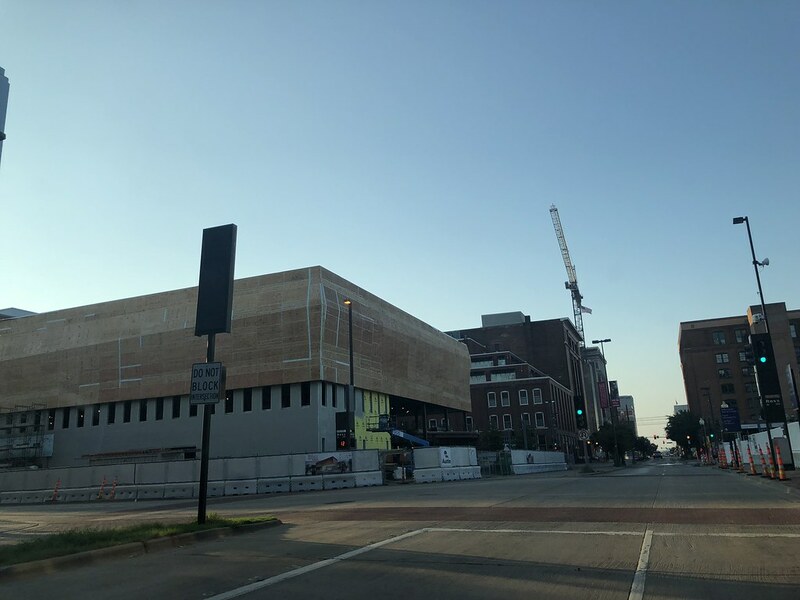 They are stitching together three buildings built in three different eras with floors on different levels and building a rooftop events space as well. I believe I saw a rendering floating about somewhere, there will be a glass facade connecting the two buildings. The interiors will be what really shine once they are done. There are renderings of what they are doing inside as well. Looks like they might be re-lighting the underpass between West End and Victory. 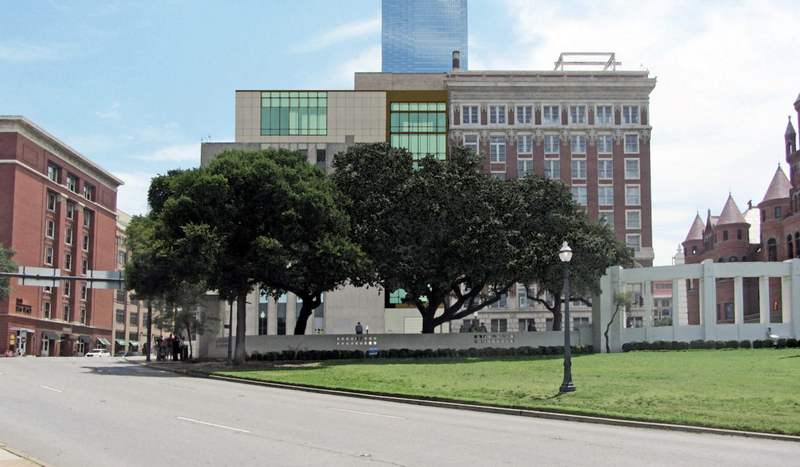 So this summer, the DIA secured a $25,000 grant from Downtown Dallas Inc., a nonprofit advocacy group, to improve the safety on the path with a light installation. The grant will cover a series of lit metal arches that will be programmable and “have lots of opportunities to engage artists,” Sanders says. DPatel304 wrote: As for the actual underpass, I like the idea of setting up vendors here. I'd take it one step further and put a TON of lights all over the place. Maybe make the ground light up as you walk on it and/or play music with each step, which would be great to attract kids/families. Place tons of lights along the top as well, and maybe even have some sort of light show that goes off at a certain time each night. Dallas is all about putting lights on their buildings, so might as well embrace it and make a touristy attraction out of it. I think it's fantastic, and exactly what the West End and Victory Park need to help with the foot traffic in the area. Cool. Can we take away the unnecessary parking for the The Perot under the highway? Let's activate that portion of the underpass with a Skate Park , Tennis Court , Futsal court, and Basketball court. Those archways were lit up before. I am not hearing anything that's wasn't done already before unless there will be an active art piece that attracts tourists by its sheer uniqueness and good maintenance by the city. Not to mention whats in the West End is kinda subtle now. There used to be the excitement of restaurants and shopping. Now its office space and few small quieter restaurants. Victory Park has added a Movie Theater now so that's better than nothing. Also, someone may want to check but last I checked a few months ago the DEC Dallas Entrepreneur Center was gobbled up by Capitol Factory which was moving it to the Centrum into their new space on Oak Lawn. I still like my Frogtown Plaza idea for the dead plaza just past the arches. Kids and tourists will love it and have no clue that it's a reference to the former red light district. lakewoodhobo wrote: I still like my Frogtown Plaza idea for the dead plaza just past the arches. Kids and tourists will love it and have no clue that it's a reference to the former red light district. Hahaha, nice! A slight tweak on that, perhaps they do an exact replica of Pioneer Plaza, but replace the cows with frogs. 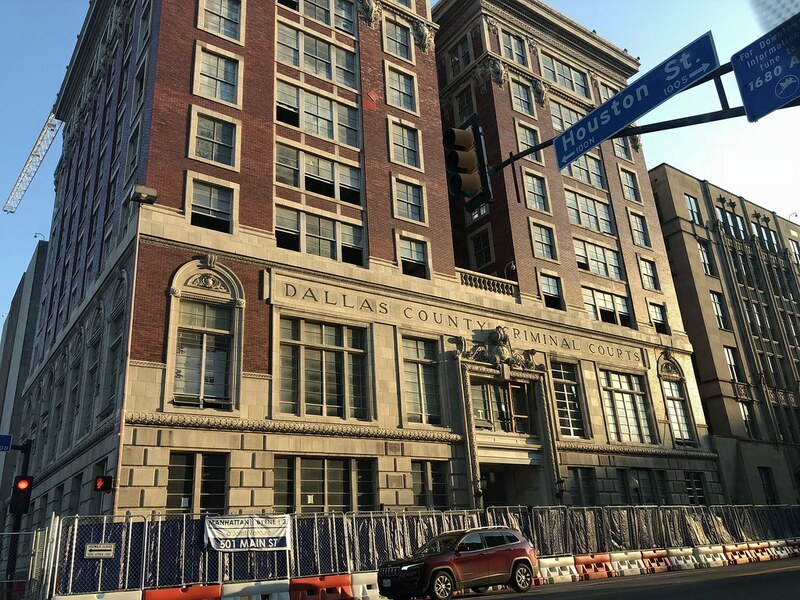 Compared to other downtown Dallas office projects, the 113-year-old Purse Building at first look doesn't have a lot to offer. There's no air conditioning, no elevators and the inside is covered in peeling paint. But prospective business tenants that have taken a peek at the West End district landmark are eager to talk about a deal. 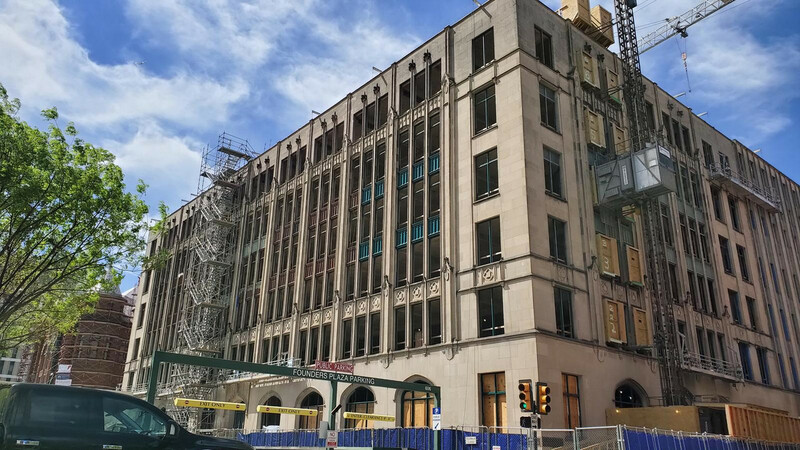 "We got interest as soon as we started working on the building," said investor Tanya Ragan, who earlier this year started a fix-up program on the more than century-old Elm Street building. "We've been getting all kinds off nibbles from tenants but we haven't been ready. "We just finished the inside demo last week." Upper floors in the six-story historic building at Elm and Record streets are now wide open with wood timber beams, tin ceilings and old plank flooring. Windows on three sides of the building are still covered with dark screens and years of grime. "Over the next three weeks, the crew will come in and take off all the ugly window shades, paint the trim and clean the windows," Ragan said. 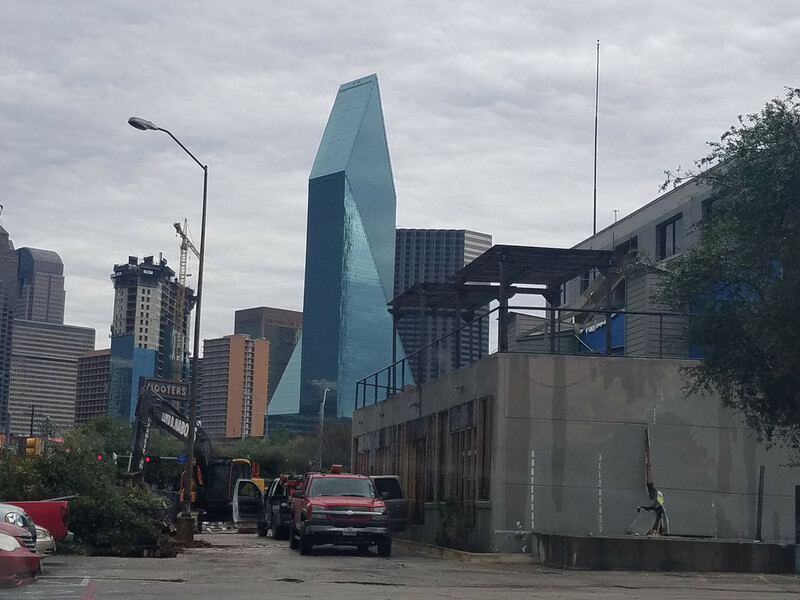 Decades of old partitions, construction materials and fixtures have already been hauled out of the building, which until the early 1990s was used for Dallas County offices. The building has been vacant since then. "When the county occupied it, they had all these little offices," Ragan said. "It had yucky old carpet and drop-down ceilings. "We opened it all up," she said. "It's really important to be able to show tenants what this can be." Ragan's Wildcat Management company will start with restoring the first and second levels of the long, narrow building. "We want to give prospective tenants an idea of what a space could look like," she said. "What's so cool about the space is every floor looks a little different." Renovation plans include a rooftop deck and retail on the Elm Street and Pacific Avenue sides of the Purse Building. "Our concept is to have a fast casual restaurant in the back and retail in the front," Ragan said. Built in 1905, the Purse Building was originally used as offices and warehouse space for the Parlin and Orendorff Implement Co., which sold agricultural equipment. For decades, the 70,000-square-foot building housed Purse & Co. Wholesale Furniture. The building is prized by preservationists for its cast-iron front façade and ornate brickwork. It sits across the street from the Dallas County Records Building complex which is in the midst of a redo. 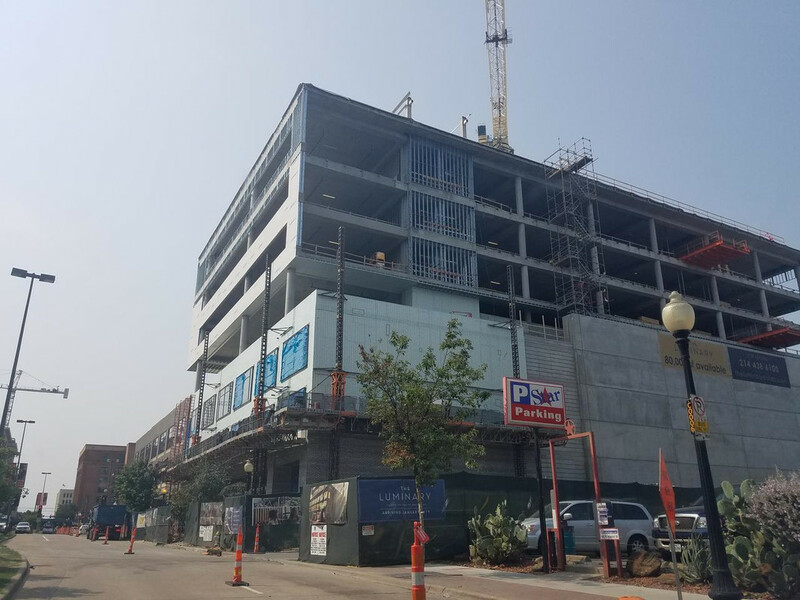 With downtown Dallas awash in first-class office space, it might seem odd that businesses are interested in small, aging addresses like the Purse Building. 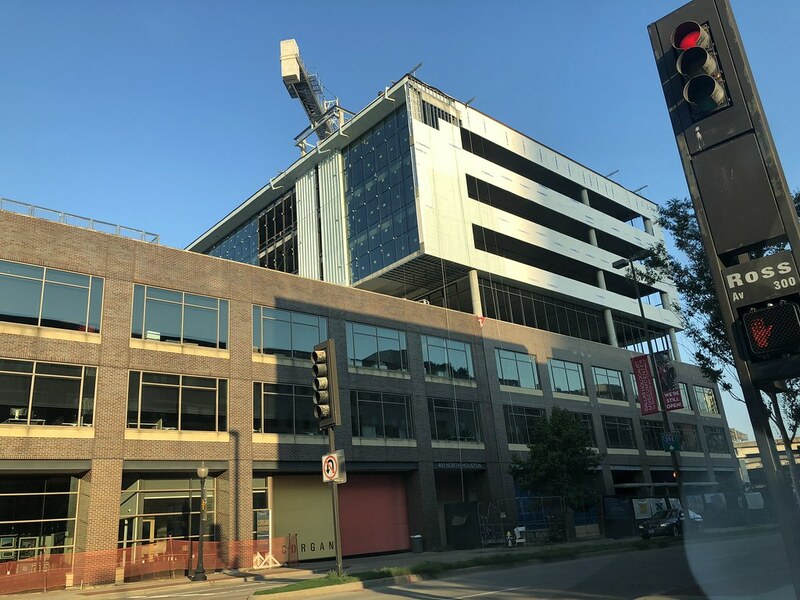 But a growing number of small and mid-sized creative and tech companies are eschewing traditional office environments for new digs in historic properties. 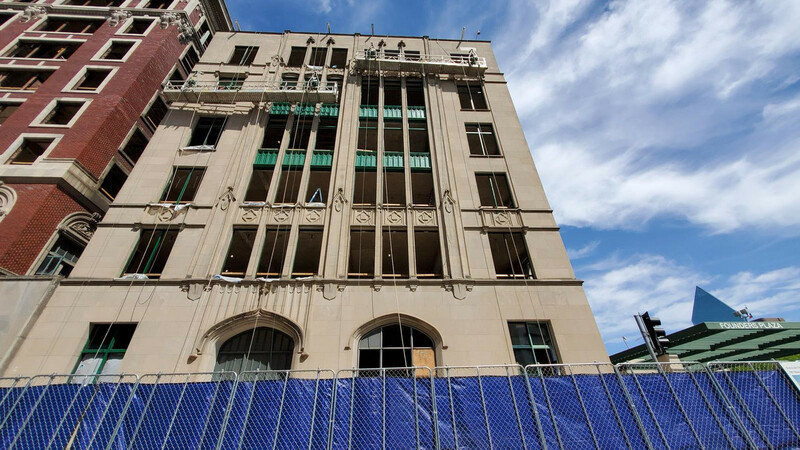 Developers are currently renovating almost a dozen old commercial buildings — originally used for everything from auto dealerships to electrical parts warehouses — on downtown Dallas' east side. 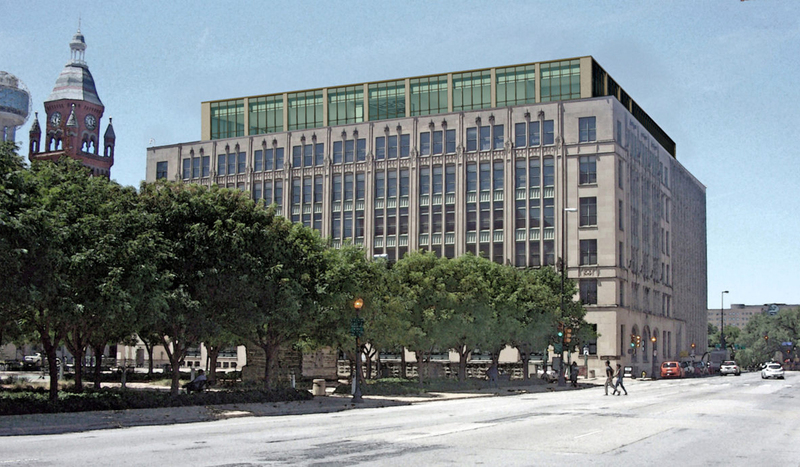 Those buildings constructed in the 1920s and 1930s are being converted into new office space. 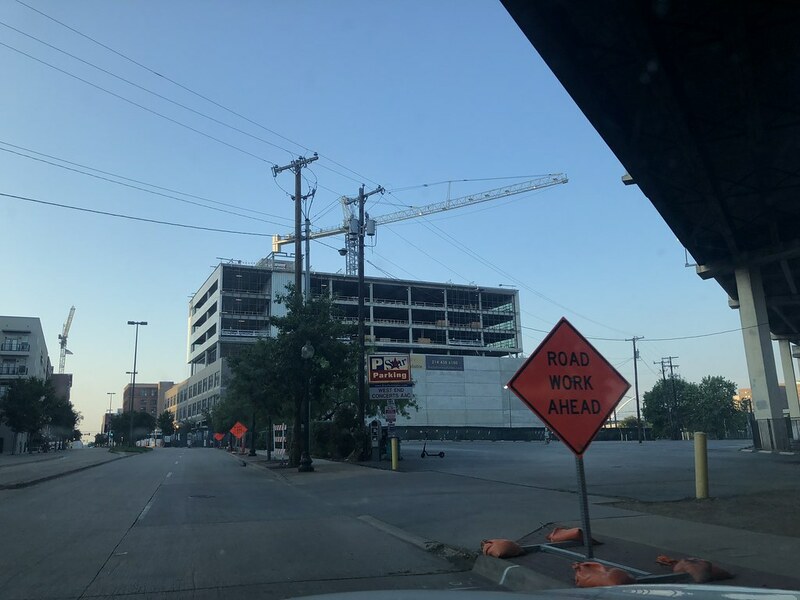 And Dallas' more than century-old West End district is attracting new office tenants who want to break out of the usual corporate office box. Blue Cross Blue Shield of Texas and retailer Sam's Club have both taken big blocks of West End offices for new innovation operations. But most of the demand for offices in these one-of-a-kind historic buildings comes from smaller entrepreneurial firms. "These tenants are looking for authenticism, said Mike Wyatt, executive vice president with commercial real estate firm Cushman & Wakefield. "They weave their company into the story of these old buildings. 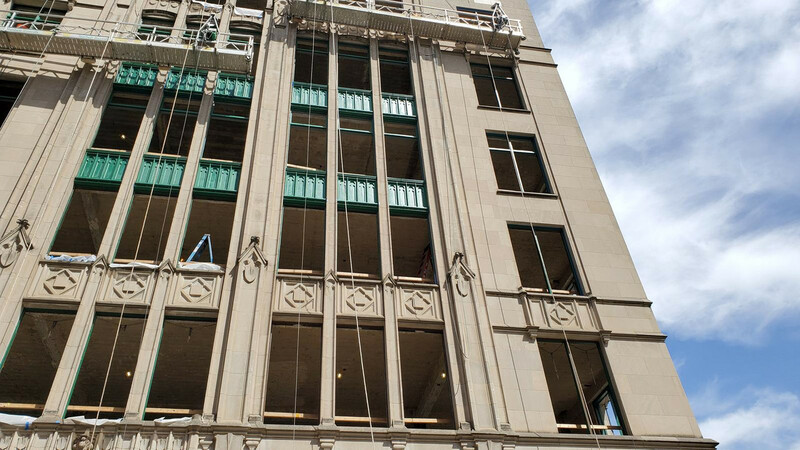 "The phoenix is rising for these older buildings in the central business district." Small business that can get lost among the floors and floors of downtown office skyscrapers also see an appeal in the historic buildings where they are more visible, he said. "There is a sense of branding that can be accomplished when they are a larger tenant in a smaller building," Wyatt said. "They like the history and the culture and the feel of being in a revitalized building." Imagine when the East Quarter renovations are completed. That will arguably be even more impactful than this single project. Glad to see these old buildings get a new life. Tivo_Kenevil wrote: Imagine when the East Quarter renovations are completed. That will arguably be even more impactful than this single project. Glad to see these old buildings get a new life. The fringes of the West End have been decimated by surface lots. I would love to see some infill that is appropriate to the architectural charm of this area. Looks like the Brewery Building (703 McKinney Ave) redevelopment is back on. Owners were in front of the Oak Lawn Committee for approval of a landscape plan. Wow, Phillipe Starck wants to bring the Starck Club back?? And Gruen Associates (as in Victor Gruen, a big name in early shopping mall and department store architecture and development) is also in on this, per Candy. Could be very intriguing. Well the obviously they abandoned the office and residential plan for this site. cowboyeagle05 wrote: Well the obviously they abandoned the office and residential plan for this site. How unfortunate.A club will fizzle out with time. Yeah, the plans for the rest of the property basically sound like more of a propping up the property in its current desperate state than a real bringer to life. Could be cool and definitely sounds mixed use. Part of the complex will be a club, part of it an athletic club, and seems to be a pool and amenity deck added. Maybe residential on upper floors? I noticed new signs tacked up on the building's ground level outside facing the DART light rail line. I didn't get a picture or see them close enough to read the whole thing. They're just Now leasing signs and pics of Jane Jacobs with "Return Her to Glory" messages. See what all the excitement is about during an open house today from 12-2 pm and 4-6 pm. According to this Facebook post from CultureMap Dallas, it looks like the Purse building is having an open house today from 12-2pm and 4-6pm. Unfortunately, I can't find much information on this open house. I would assume they mean it is open to the general public, but it's tough to say for sure. lakewoodhobo wrote: Looks like the Brewery Building (703 McKinney Ave) redevelopment is back on. Owners were in front of the Oak Lawn Committee for approval of a landscape plan. Work has started here. The building is fenced off and interior demolition has begun. This club idea is lame. I wish the residential tower would've gone through. 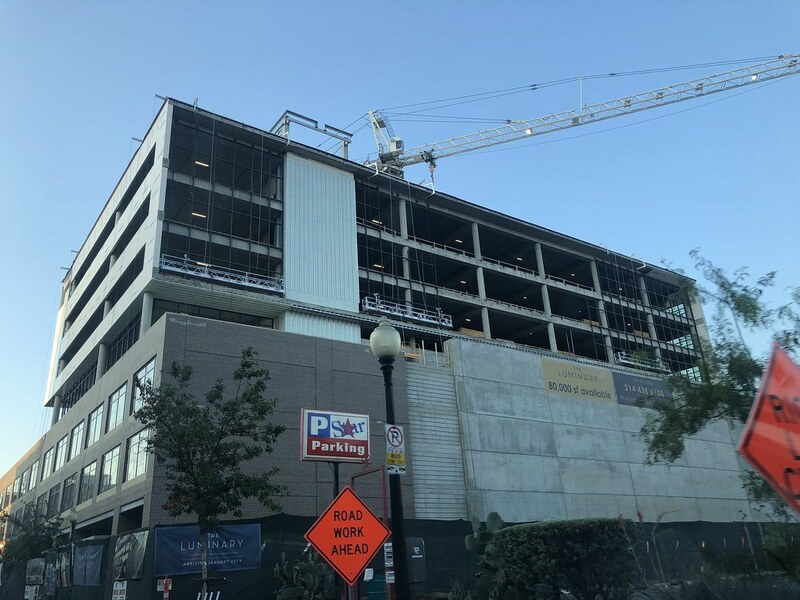 Isn't it likely that the empty lot next to it will eventually be re-developed into something, which would completely block whatever they do with that wall? Who knows when that will happen, so we are stuck with the blank wall for now, but it's not exactly in a promiment location as it is.